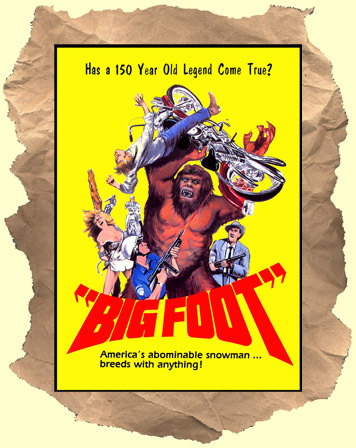 SYNOPSIS: How can you pass up this cheesy no-budget Bigfoot / Sasquatch flick with the above cast? They're all tracking down, or running away from, North America's most elusive monster supreme. From the so-bad-it's-good school of film fun! Can you prove it didn't happen?